The main thoroughfare in our neighbourhood in Ottawa is undergoing massive reconstruction which means that vehicles are being redirected onto the less travelled side streets. One of these side streets leads to the entrance of the weekly Lansdowne Farmer's Market and to keep this street safe from frustrated speeding drivers, the city installed a traffic "speed minder" that clocks a driver's speed he zooms towards it. Above it is a huge digital sign that displays the speed at which one is travelling. On Sunday morning as I walked towards the market and the speed minder, the display clocked me in at 10 kph. Why the rush? 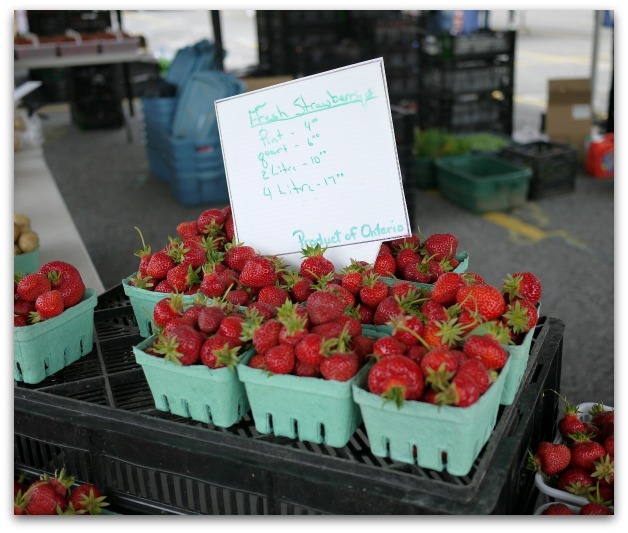 The season's first fresh, luscious strawberries of course! 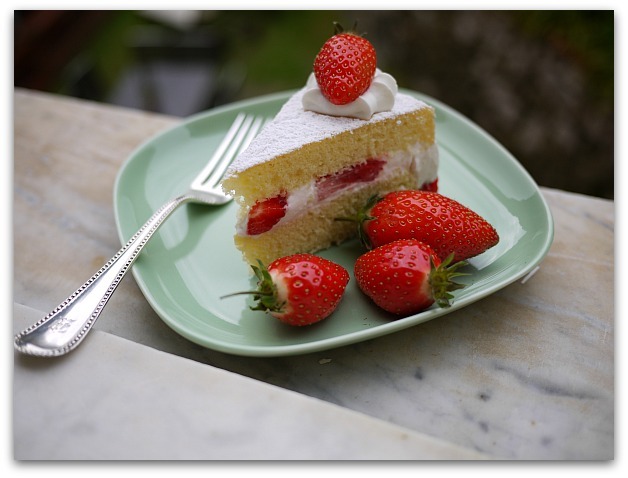 To celebrate the arrival of the delicious local strawberries, I created this simple cake. 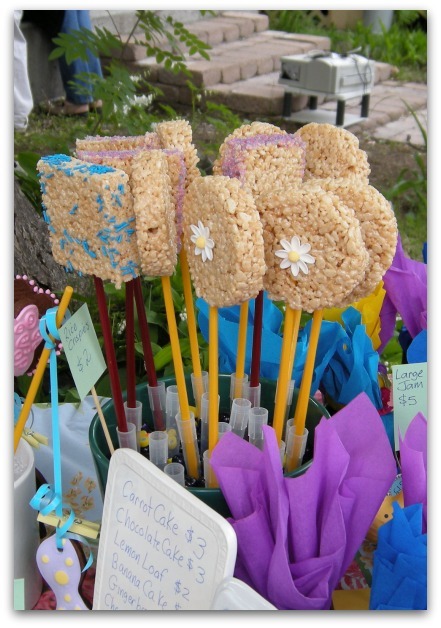 It's easy to make, quite light, not too sweet, and it's pretty too! The base is a cake called Genoise which I posted a few weeks back. I hope you practised it because here is a great way to use it. 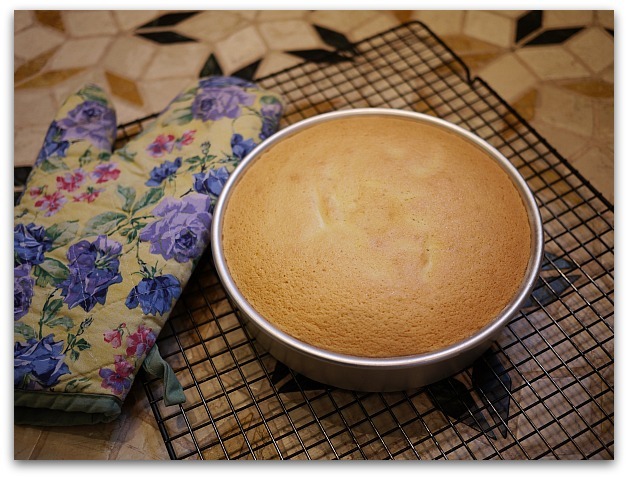 One genoise sponge cake at room temperature. Wash the berries and set aside 8 of the best ones for garnish. Remove the calyx from the remaining berries and slice them lengthwise into halves or quarters depending on their size. Sprinkle them with sugar and the optional aromatics if you are using them. Mix gently and set aside. In a small saucepan, combine the water and sugar. Allow the mixture to boil for 2 minutes. Pour the syrup into a bowl and set aside to cool to room temperature. Cover your work surface with parchment, enough to accommodate at least twice the width of the cake. With a sharp, serrated bread knife or a cake cutting knife, slice the cake in half lengthwise. The bottom of the cake will become the top of the finished cake and the top will become the bottom. If you lined the cake pan with parchment, remember to remove it. Place the bottom layer on a cardboard round if you have one. This will make it easier to lift the cake to its final destination. Now is the time to add liqueur to the syrup if you are using it. Using a pastry brush, brush both halves of the cake with syrup making sure that there is syrup everywhere on the cake, especially towards the sides. Don't saturate the cake, just moisten it. You may have some syrup left over. Pour the cream into a chilled bowl and add the powdered sugar and vanilla. Beat on high to stiff peaks. Set aside. First, reserve about 3/4 cup of the whipped cream for making the rosettes on the top of the cake. Divide the remaining cream into two. Using an offset spatula, gently spread out half the cream on each half of the cake. Spread the cream within 1/2" (1cm) from the edge. If you put cream too close to the edge of the cake the cream will squeeze out the sides when you put the top on. Pour the macerated strawberries into a sieve to separate the liquid from the berries. Arrange half of the berries in the cream on one half of the cake. Return the remaining berries back into the reserved liquid and refrigerate. Flip the half of the cake without the berries on top of the one with the berries and press gently until the cream comes closer to the edge. Don't press too hard - you don't want the cream to squirt out the sides. Put the 10g of finishing powdered sugar into a fine sieve. 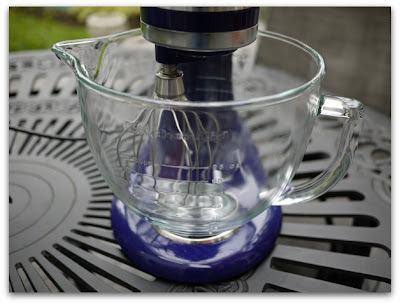 Tap the side of the sieve to lightly powder the top of the cake. Now gently lift the cake and place it on a serving plate or cake stand or you can do this after you have finished the next steps. If you have a piping bag, fill it with the reserved 3/4 cup cream. Pipe 8 evenly spaced rosettes around the top of the cake and top each of them with a strawberry. If you don't have a piping bag, just drop the cream by the spoonful. 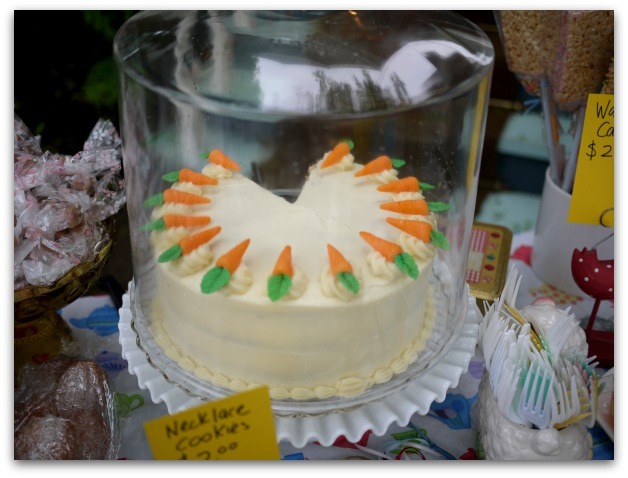 To make an even pattern, imagine your cake as a clock face. Start by piping one rosette at 12:00 then 6:00, 3:00 and 9:00. Finally, pipe a rosette in between each. This will create 8 equal servings. Place a reserved whole strawberry on top of each rosette. Cut and serve the cake at the table and pass the remaining macerated berries with a spoon so guests can help themselves. This cake is best served the day that it is made. After that the cream's texture changes. Of course this doesn't mean that you can't have a piece as a midnight snack. All for the greater good, of course. Socca in Ottawa? Mais Oui! 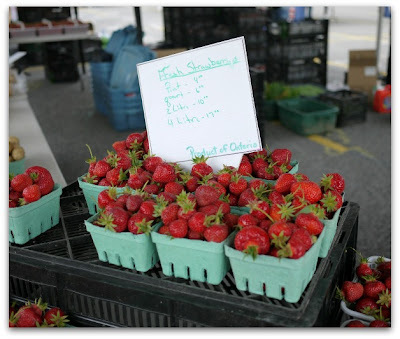 I arrived in Canada on a Monday for my annual summer visit so for the entire week I was chomping at the bit, waiting for Sunday morning so I could zip over to the Lansdowne Farmer's Market and load up on delicious Canadian spring things to eat. I love my first visit of the season. 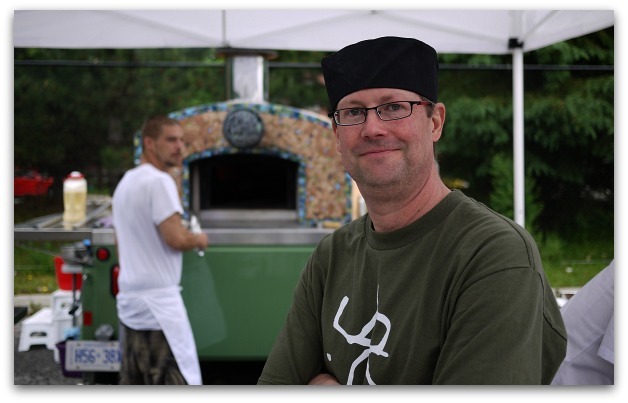 It's fun to get caught up with old friends and vendors, see what's new and dream of dinners to come. 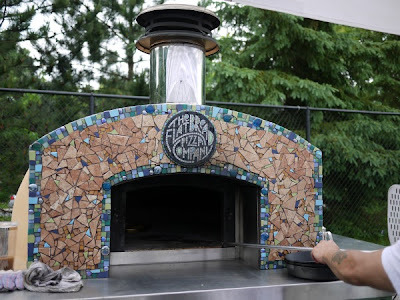 Their oven reminded me immediately of traditional Socca vendors in the South of France, their wood-fired clay ovens attracting a stream of people eagerly awaiting a paper plate filled with it, hot, delicious and salty. 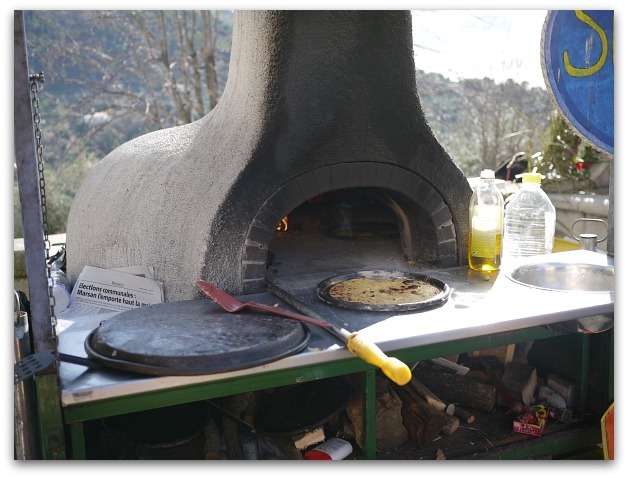 By far the best Socca comes from those who make and serve it in the traditional way: out in the open air, baked in an olive wood fuelled oven, cut into little squares, powdered with pepper and shared. My mouth waters just thinking about it. Socca is a traditional street food on the Cote d'Azur. 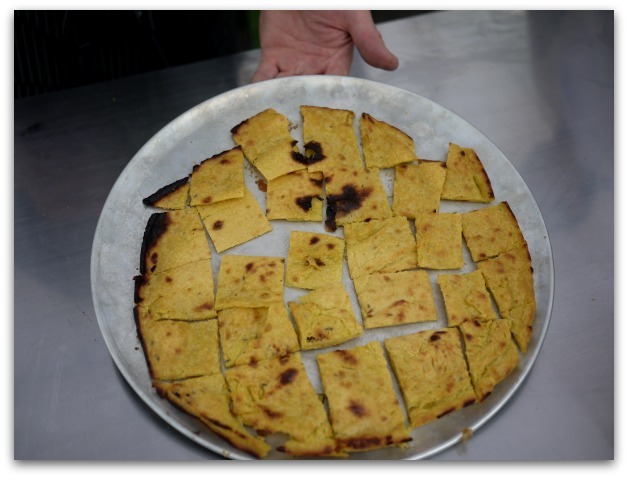 You can sometimes find the same dish across the border in Italy although there it's called Farinata. 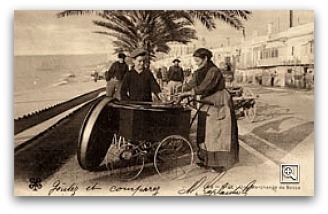 It is believed to have been brought to the South of France in the nineteenth century by the Genoese. 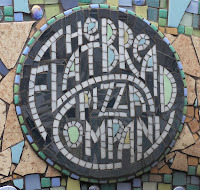 In both countries it's made from the same four simple ingredients: chick pea flour, water, salt and olive oil and it's always cooked in shallow, copper coated pans that have been liberally coated with olive oil before pouring in the runny batter. 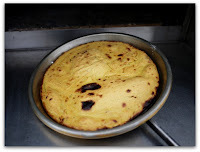 You can sometimes find Socca in French boulangeries (bakeries) but it's never as good as the real thing. Socca is meant to be consumed standing around in the open air, straight from the oven. The flavour that the ultra high heat and a wood fire imparts to it is what makes it so delicious. 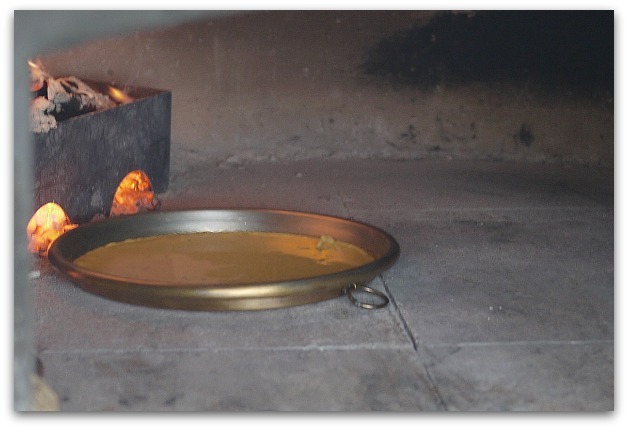 The last time I had traditional Socca in France was this March at the Fête de l'Olive (Olive Festival) in the charming hilltop village of Castellar, a 20 minute drive from our house in Menton and it was delicious. Socca vendors appear quite often in towns and villages around the region, and usually set up shop for the day as in the case of Castellar's festival or for the duration of a longer event like the months-long annual winter Foire (Fair) in Port Hercule in Monaco where they sell generous portions of Socca for a mere €3. Quite a contrast against a backdrop of multi-million dollar super yachts. 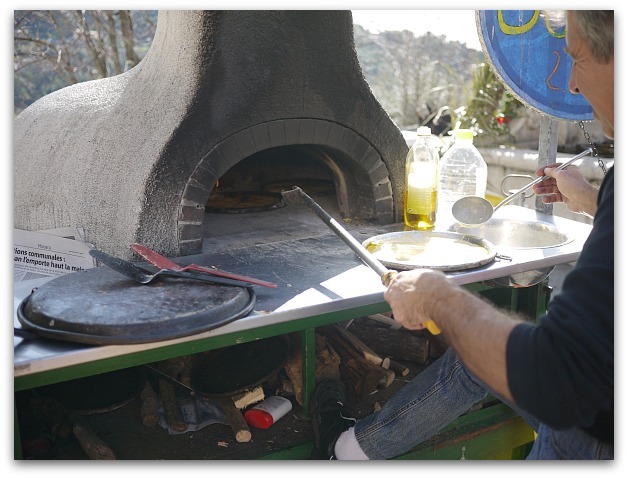 So, three weeks ago when I saw Mark's pizza oven we talked about Socca and this Sunday morning when I spotted him stirring a bowl of thin yellow batter my heart jumped. 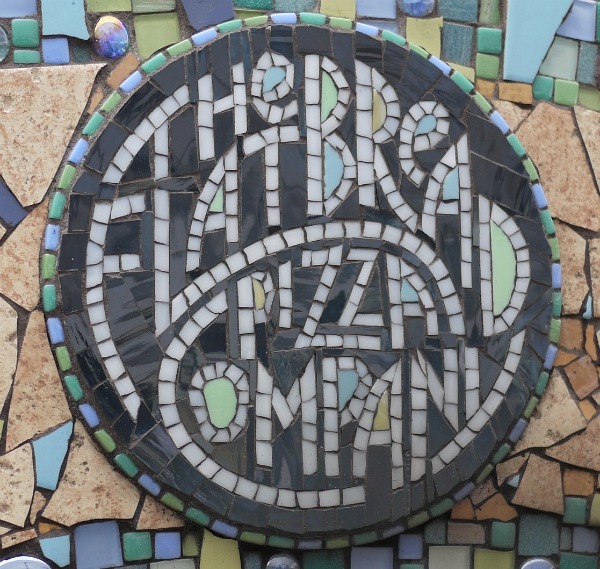 Could that be Socca batter? Yes, it was! Mark is now offering it as a base for his new Gluten Free Pizza. What a brilliant idea! Licking my chops, I ran home, dug out my copper coated traditional Socca pan and bolted back to the market. Mark graciously made me some Socca in my own pan and it was absolutely delicious. I ate most of it on the spot, in the fresh morning air and happily shared some of it with curious passers-by who mistakenly thought that the little squares were free samples. Luckily I managed to rescue a few squares to take home to my husband who agreed with me that Mark’s Socca was as good as the best Socca we’ve had in France. 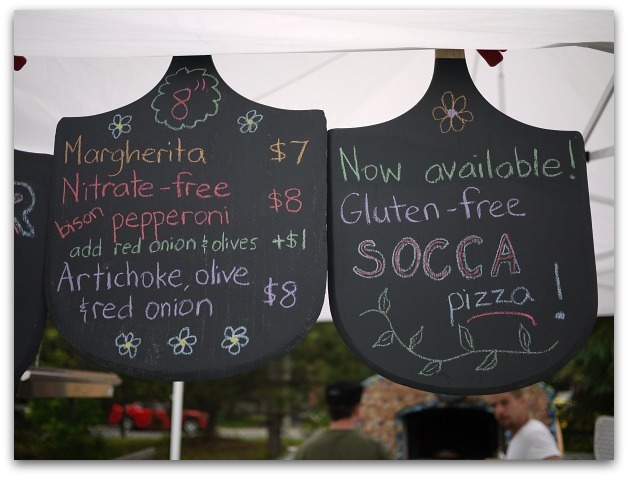 You can find Mark, Kendra, their helpers and his wood-fired oven pizzas and Socca at the Main Farmer's Market every 2nd Saturday starting on June 11 and every Sunday at the Lansdowne Farmer's Market. My advice? Go early – they sell out every week. Last night while we were all sleeping soundly, the temperature in Ottawa dropped from unbearably hot and humid to strangely cool and dry so like any dedicated baker, I rose at the crack of dawn, pulled on a sweater and headed to the kitchen to fire up the oven. I was rooting through my pantry and being in a contemplative mood that early in the morning, I started thinking about how basic baking ingredients can vary widely from country to country and subsequently effect the texture and taste of the final product, flour and sugar from France being two examples. Flour in France is grown from different varieties of wheat, milled and graded by grind, not type of wheat and generally makes a cake with a lighter crumb. Granulated sugar is produced mainly from sugar beets, not sugar cane like in North America and performs differently in certain recipes, especially those which require high temperatures. It also has a bit of a funky smell in raw form. Over the years it has taken a lot of trial and error to adapt my favourite English recipes to foreign ingredients but in some cases, the recipes are not only changed but improved. On a recent trip to Japan I brought back some bright white, soft wheat flour and used it to make a Matcha Chiffon Cake that was so tender and light it was like eating a cloud. Sugar and Spice and Everything Nice. Fifteen Girls go to School. 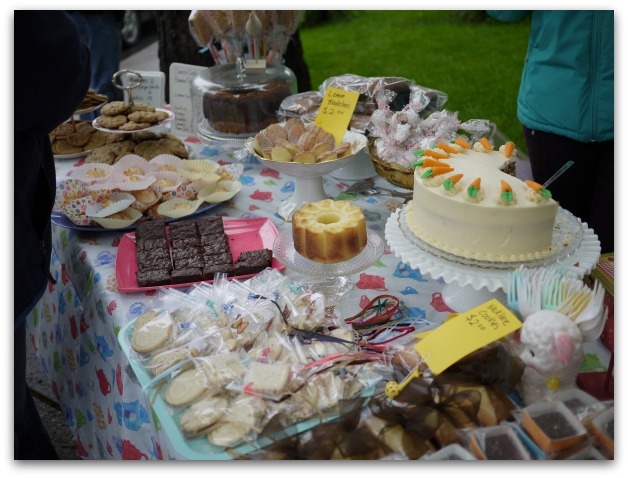 Thanks to hungry bargain hunters who flocked to the Glebe for the annual Great Glebe Garage Sale, this year's bake table was a smash success despite the grey, humid weather that put the whole event in peril. Luckily the rain never came. 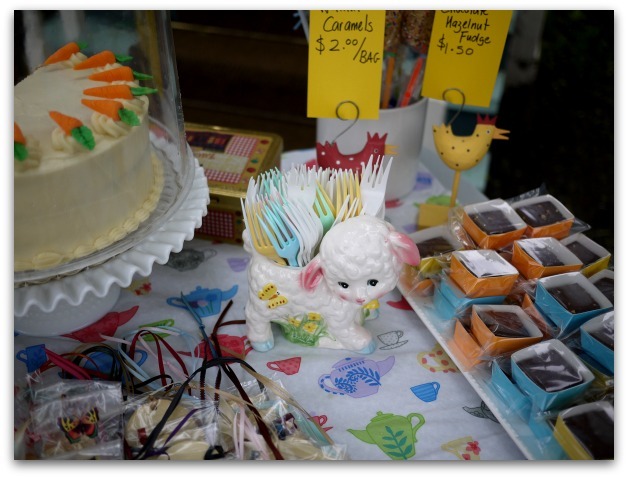 When the dust settled, $1,500 worth of carrot cake, cookies, caramels and fudge were consumed, old friendships were renewed and new ones were made. By 1:00, nothing much was left, aside from some crumbs that the squirrels eagerly snapped up after we folded up the tables and retreated inside to count up all the coins. Old favourites like "breakfast on a stick" Rice Krispie treats, carrot cake, ginger snaps, brownies, lemon loaf and banana cake were all scooped up. 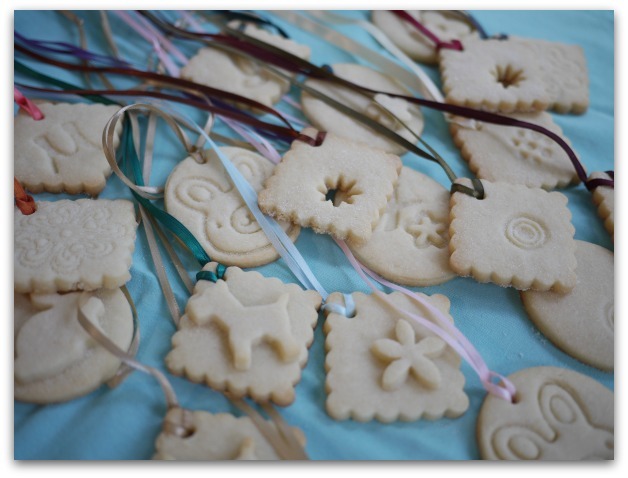 New this year were lemon Madelines, bittersweet chocolate hazelnut fudge and the fun but ever practical sugar cookie necklace that you could wear proudly and then eat when hunger hit. Early in the day, customers eagerly bought all of the jars of marmalade that I made myself from our fruit trees in France, many of whom had enjoyed it in the past. All in all it was a great day and well worth all the pleasurable work considering that 10 girls will be rescued and sent to school thanks to Olga and NYF's Indentured Daughters Programme. Thanks go to my sister Patty, the charming Sophia and her fabulous mom who all generously pitched in to make the day a success. I can hardly wait until next year! When I get back to my old neighbourhood in Ottawa, I can't resist popping in to one of my favourite kitchen shops to see what's new, wander around, and get a bit of inspiration for dinners and baking to come. Well, what's new was Kitchen Aid's glass mixing bowl! I bought one the minute I saw it. How can it be that I didn't I know about it before now? I guess I've been spending too much time travelling because after a visit to Kitchen Aid's website I learned that it's been available since March 2010. Imagine, an entire year without this glass mixing bowl. 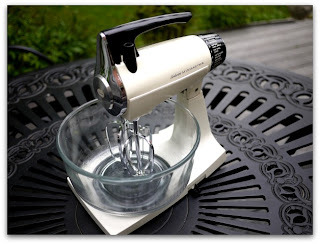 To quote Julia Child, "I think this mixing machine is absolutely marvelous." She was talking about her new K5A Kitchen Aid stand mixer and I agree! 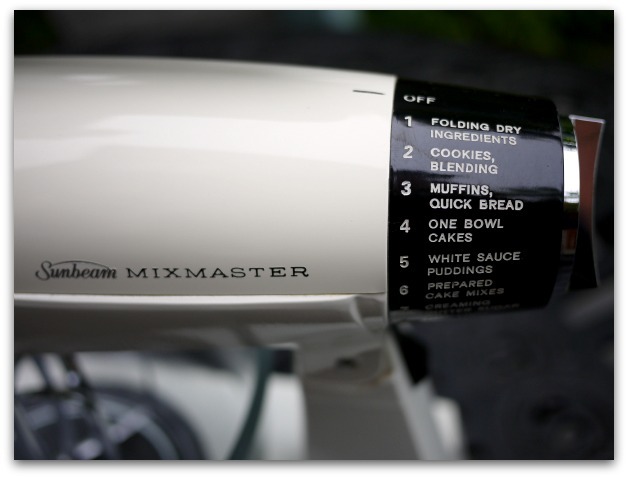 I bought my first Kitchen Aid in 1990 and It's been reliably whirring away, taking on anything I throw at it. It's my favourite workhorse in the kitchen and I use it for everything. Over the years I've bought most of the attachments and do-dads, the last one being the ice cream maker. I love making my own pasta so the pasta roller is the the first one I bought and it's still the one I use most. Don't tell anyone but in a pinch I've used the linguine cutter to shred documents and it did this extraordinarily well! 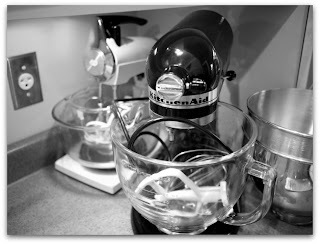 Many moons ago, for mere pocket change, I bought my perfect Sunbeam mixer at a garage sale and it sits on my kitchen counter next to my Kitchen Aid. 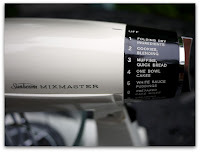 It's not as robust as the Kitchen Aid but it's totally reliable, quite beautiful and it's handy when a smaller mixing bowl is the best tool for the job. I also find the sound it makes while it's mixing oddly comforting. 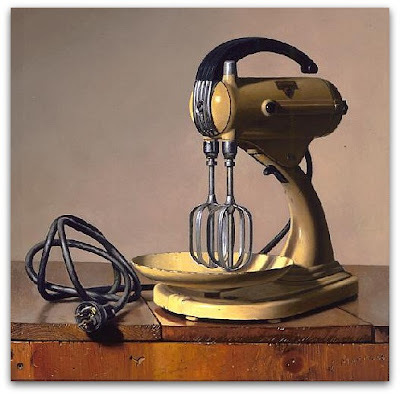 Most importantly, with two beaters to lick instead of the Kitchen Aid's one, it's quite popular when I bring it to my baking class at the local Seniors' Residence. In New York a while back, I happened upon an interesting exhibit by the still life artist, John Morra who immortalizes and elevates the modest mix master in his beautiful still life paintings. I was mesmerized. One day, if I save enough I think I'll have him paint mine.